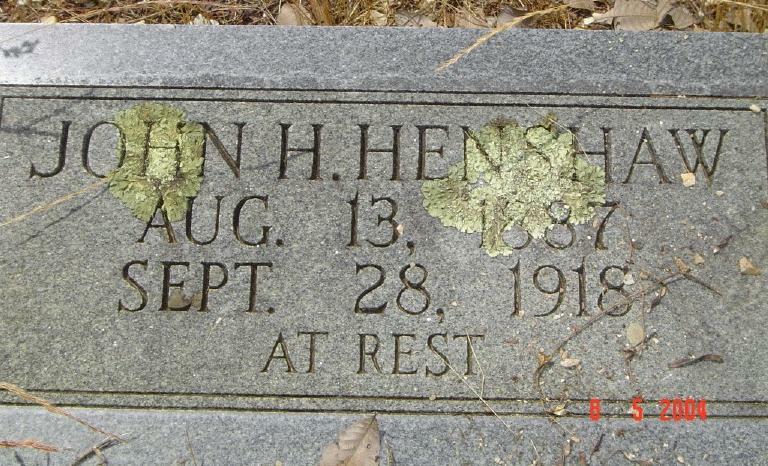 John Henry Hinshaw1,2 [John Henry Henshaw5]. Henshaw, John H., head-of-household, age 22, born in Arkansas; parents born in Alabama; first marriage, married 0 years; farmer, general farm; rented farm. Henshaw, Liza, wife, age 17, born in Arkansas; father born in Tennessee; mother born in Arkansas; first marriage, married 0 years; no children; farm laborer, home farm. 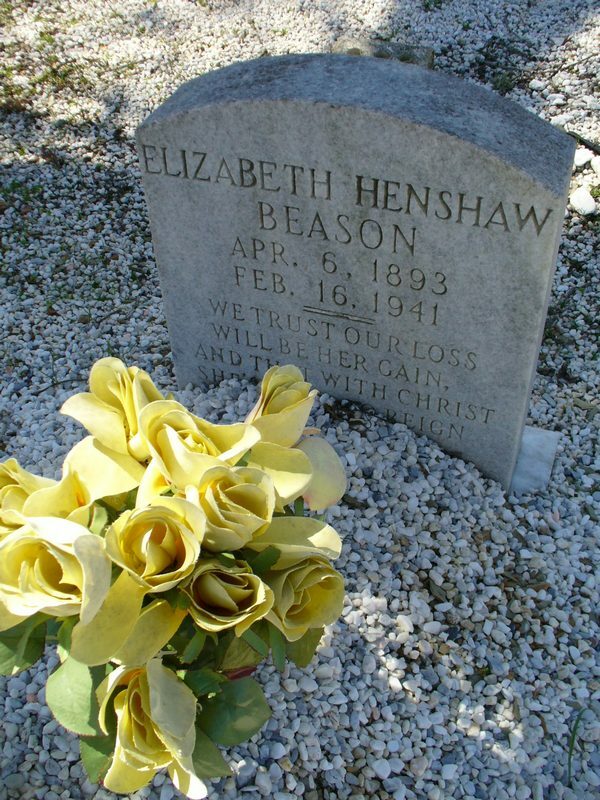 Henshaw, Lizzie, head-of-household, age 26, born in Arkansas; parents born in Tennessee; owned home; farmer; widow. Henshaw, Arvel, son, age 8, born in Arkansas; parents born in Arkansas. Henshaw, Marvin, son, age 6, born in Arkansas; parents born in Arkansas. Henshaw, Hattie, daughter, age 3 years 4 months, born in Arkansas; parents born in Arkansas. Henshaw, Unith, daughter, age 3 months, born in Arkansas; parents born in Arkansas. The Church Of Jesus Christ of the Latter Day Saints (LDS) International Genealogical Index (IGI) - Arkansas. gravestone photo courtesy of Tammy Ballard (). 1910 census, DeRoche Township, Hot Spring County, Arkansas; ED 86, page 2B, line #51, dwelling #30, family #31. 1920 census, De Roche Township, Hot Spring County, Arkansas; roll T625-63, page 3B, line #87, dwelling #61, family #65.